New Delhi-Air Hostess, who is working with Air India met Ms Maneka Sanjay Gandhi, Minister for Women and Child Development regarding her complaint under the Sexual Harassment of Women at Workplace. 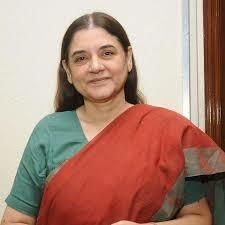 Maneka Sanjay Gandhi has taken up the matter with Minister for Civil Aviation. The Minister has also spoken to the head of the Internal Complaints Committee of Air India and has directed her to complete the inquiry within June, 2018.